When your computer starts behaving strangely or won't boot, a rescue disc is the ideal way to troubleshoot the issue and see if you can isolate the problem. There are plenty of great system rescue discs available if you need a tool to save your ailing system. This week we're looking at five of the best, nominated by our readers. 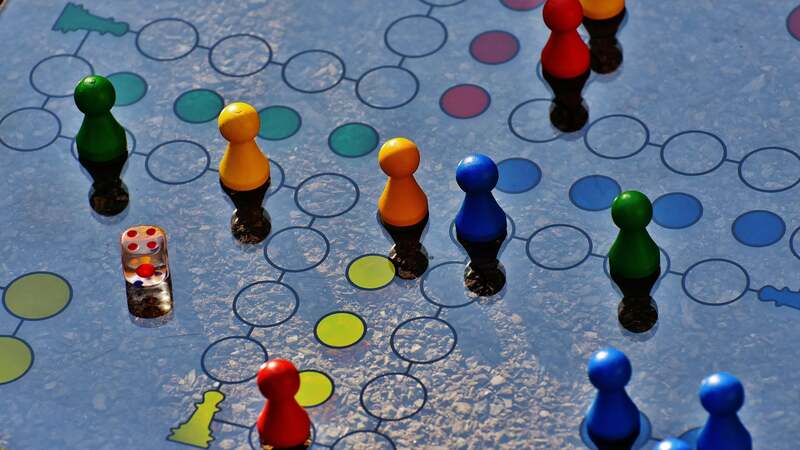 The Trinity Rescue Kit is a customised Linux distribution that is designed specifically for troubleshooting and reviving ailing systems, whether you're running Windows or Linux. It fits easily on a CD (or a USB stick if you prefer), and once booted gives you tools to reset lost Windows passwords, scan hard drives for viruses and malware, clone drives, recover lost partitions, and even open up your drives as network shares so you can transfer your files to other computers on your network. It's completely free (although a donation to the developer is a welcome gesture if it saves your bacon). Hiren's BootCD is a legendary rescue tool; anyone who has ever worked in support or systems administration has probably used it at least once. The rescue disc is aimed squarely at repairing Windows systems, and includes antivirus tools to scan your hard drive, anti-malware utilities to clean out spyware and adware, and rootkit detection tools. Hiren's BootCD can also help you repair, adjust, or re-flash your system's BIOS or wipe your CMOS, clean out temporary files and folders, securely erase files, back up your data to another hard drive or to the network, update and back up hardware drivers, scan your system for hardware failures, and repair lost or damaged partitions. The Ultimate Boot CD is another tool you'll probably find in most technicians' disc binders. The Ultimate Boot CD is designed to troubleshoot Windows and Linux systems, and includes a wealth of hardware testing, hard drive management and partition troubleshooting and repair tools. The UBCD packs memory testing, CPU testing, and drive testing tools all onto the same disc, and includes BIOS management tools as well. If you're experiencing serious PC issues, the CD also offers a number of drive cloning and data recovery tools to help you transfer your files from a problematic hard drive. If you're looking for a specifically Windows-targeted version of the Ultimate Boot CD, there's also the Ultimate Boot CD for Windows, a rebuild of the disc that uses BartPE to create a functional version of Windows XP once booted. Both are free, but donations to the creators are always welcome. Knoppix is a bootable Linux live CD that gives you a fully functional operating system once booted. Unlike some of the other tools featured here, Knoppix is a whole OS — not just a customised interface to give you access to diagnostic and repair tools. It includes a web browser (Firefox), Open Office, GIMP and many other tools. Knoppix's greatest benefit is its flexibility; you can download it and build your own installation featuring the troubleshooting tools you use most often, package it up, and then burn it to a CD or DVD. If you're a developer, the DVD version of Knoppix has even more extras for you. 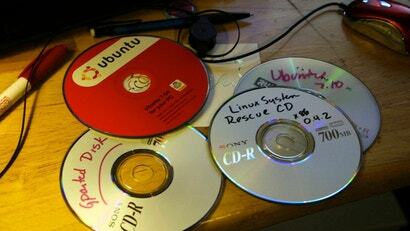 The aptly named System Rescue CD is a Linux-based rescue disk designed to troubleshoot Linux and Windows systems and servers. The disk is packed with tools to help you manage and repair partitions and back up your data or clone your drives in case of a failure. It supports a wide range of file systems (including network file systems such as NFS), so you can work with just about any file on any drive anywhere. The disc also comes with replacement bootloaders, system file editors, network troubleshooting and diagnostic tools and disc burning software. There are also antivirus, anti-malware and rootkit detection and removal tools. It's completely free. Honourable mentions this week go to Parted Magic, which a number of you nominated to handle MBR and partition problems in Windows and Linux, and to Puppy Linux, which has some great troubleshooting tools to resuscitate your computer if something goes terribly wrong. Have something to say about one of the contenders? Want to make the case for your personal favourite, even if it wasn't included in the list? Tell us and tell us why in the comments. And what about those of us who no longer have disc drives? Oh Bill... Processes for creating bootable CDs can easily be done to flash media instead (USB, SDHC etc). The first 'CD' candidate even points that out. Have a Google for xBoot and uNetBootin, Bill. You could try sticking them on your phone... DriveDroid is a nice app that will mount IMGs and (some) ISOs as bootable images over your handset's USB. Just select a boot image, plug it into your computer and get the BIOS to boot from your phone. Wow, what an amazing app, I hadn't heard of that before... I bought it straight after reading your post! Thanks. It will come in very handy I reckon. Hiren's Boot CD can also boot to Windows XP off the disk. This includes single-click enabling of network drivers for almost any network card. Also, you can open its registry editor, then load registry hive files off the hard disk to make changes to the registry of the local system windows while it isn't booted - amazing for clearing up malware. Just a quick note here, I don't know about the rest but "Hiren’s BootCD" comes with a stack of addware that will install if you don't use advanced install. Fortunately I always do but for those who don't, be careful. Sorry Timmahh, but why are you installing Hirens's anyway? I just download the latest ISO, burn a few copies to disc, format my flash drive, configure it to boot, dump the ISO contents on the drive, done, nothing installed, no addware or anything. The earlier versions are the best IMO, sure, uses a lot of pirated software (Norton Ghost etc), but some of the newer tools seem to have issues, and you can replace the software included with the legit versions you own. V 15 > is good as it gives you mini Windows XP and 7 and a linux boot environment. It doesn't install the boot media but if you just hit quick install, it will install a load of crapwear! I'm guessing that's how they make they're money. Hence the be careful comment.! Otherwise it's fine. Also "The Ultimate Boot CD" comes up red with WOT..? Ah, Hirens. Many an OS you have saved for me. I second the love for Hiren's... it's helped me out many times! Is it just me or is there no download link for the latest version on his page anymore? I remember it used to be a real mission trying to find it previously, it was designed to get you clicking on all of the ads, but this is taking it to new heights!